Want to buy a boat but your head is spinning? When we bought our first boat, there was so much to learn about the different makes, models, features, not to mention the boating lingo (what’s the heck is a pushpit or a garboard?!). We didn’t know where to find the good deals and couldn’t understand why boat prices and valuations were all over the place. And that’s all before even looking at boat or negotiating a price. This guide is designed to show you the best way to buy a used boat. We’ll take you through the process from choosing the right boat, to closing the sale. We’ve interviewed boat brokers, industry experts, and bought three boats ourselves, so we’ll also share the insider tips and tricks for finding and securing the best deal. 2. Coming up with a boat budget. The type of boat you buy will affect your operating costs, which can be anywhere between $50 and $2000 a month. Not sure what a yacht costs to own? If you’re buying your first boat, you’ll want to use our FREE Downloadable Excel Boat Budget figure out what your boat is going to cost to own and operate. Great deals go fast and last thing you want to do is miss out because you don’t have the cash. Here are 5 creative ways to finance a boat and if you’re thinking about doing some ocean sailing, check out our post on how to travel the world for free by buying and selling the right boat in the right markets. 4. Where to buy a boat? Finding a deal means looking in the right places. Here are the 5 best places to buy a used boat from online boat selling sites and boat finders to Mexican boatyards. Craigslist is especially useful for finding cheap boats, we share the secrets for searching out great deals on Craigslist. A proper boat survey takes hours, so when you first go to inspect a boat, you’ll save yourself a lot of time by looking for these 11 red flags. In twenty minutes you can quickly assess whether the boat is worth pursuing any further. So you think you’ve found your boat. Time to do a full survey. Surveyors can cost $600-$1,500 (which is sometimes more than what the boat costs!). Use this FREE Downloadable ‘Buying a Used Boat’ Checklist to do your own survey, before bringing in a surveyor and potentially wasting money surveying a boat that you’re not going to buy. Boat values and pricing are all over the place, so how much should you offer? There are several methods for determining boat values, once you’ve looked at it from a few different angles you can feel confident about your offer. Making an offer on a boat. You’ve found your dream boat now it’s just down to negotiating, here’s how to get the best price without losing the deal. If you still have questions on how to buy a boat, put it in the comment box below. Good luck finding your dream boat! Want to buy a boat but don't know where to start? This 8 part series shows you what to look for, where to find the good deals, explains boat prices and valuations and much more (including FREE downloadable boat buying checklists!) We've interviewed boat brokers, industry experts, and put together a guide with all the insider tips and tricks for finding and securing the best deal. I’ve always wanted to own a boat. It would be fun to have one to be able to go take boat trips anytime I want. I’ll definitely have to make sure I come up with a budget first, like you suggested. It’s good to know that operating costs can be as low as $50 a month, like you said. I appreciate that you talked about how to set a budget for your boat based on the estimated operating costs. I would also consider the cost to insure a boat before buying one. 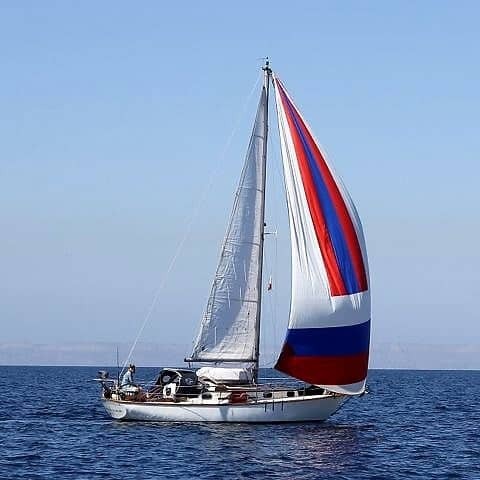 Since a nicer boat may cost more to insure, thinking about this before you buy can be useful.